Awarded each year to a small percentage of Toyota Dealerships nationwide, The President’s Award recognizes those few stores that demonstrate outstanding achievement in customer service, business management, sales, service and parts. Expressway Toyota Scion is humbled and honored to have received this award in each of the last four years- 2013, 2014, 2015 & 2016. We acknowledge the individuals that contribute each and every day to the common goal of serving the customer. We share the achievement with our dozens of dedicated employees as well as the tens of thousands of customers that have allowed us to be a part of their purchase and service experiences. 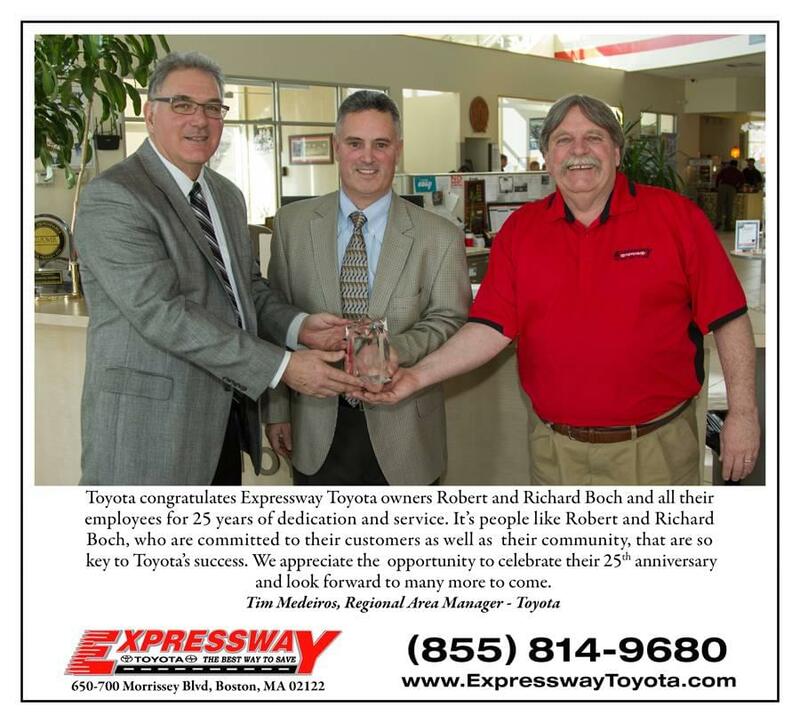 A sincere and honest “thank you” to Greater Boston from us at Expressway Toyota Scion. It is truly a pleasure to serve you everyday.